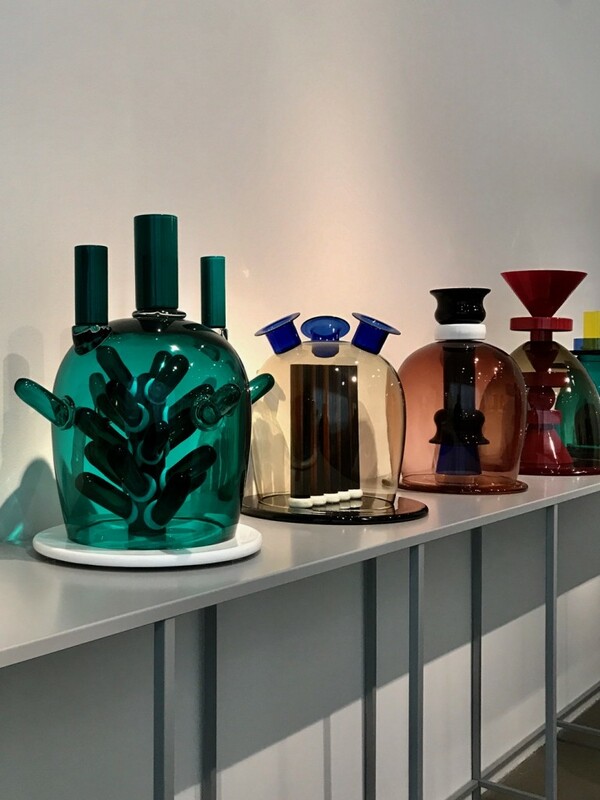 Famed Milanese architect Ettore Sottsass (1917-2007) was the unquestioned leader of the rambunctious design movement known as Memphis. 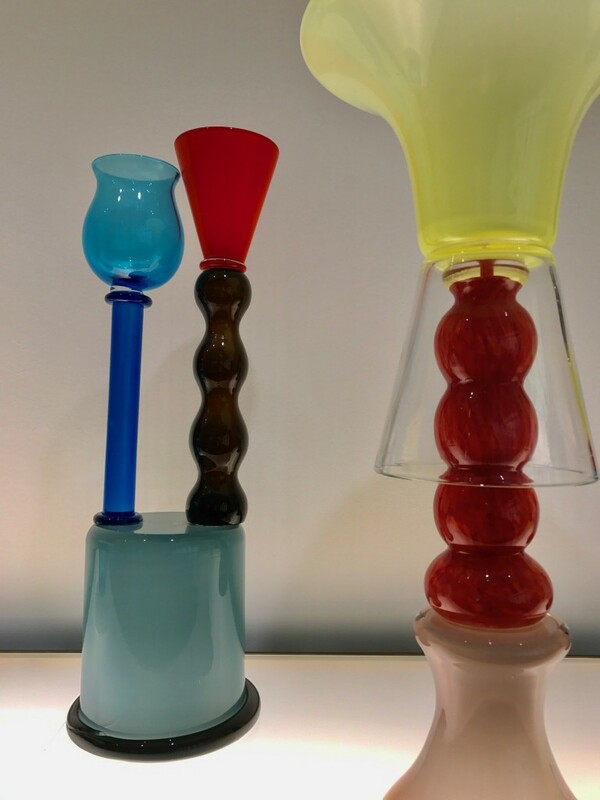 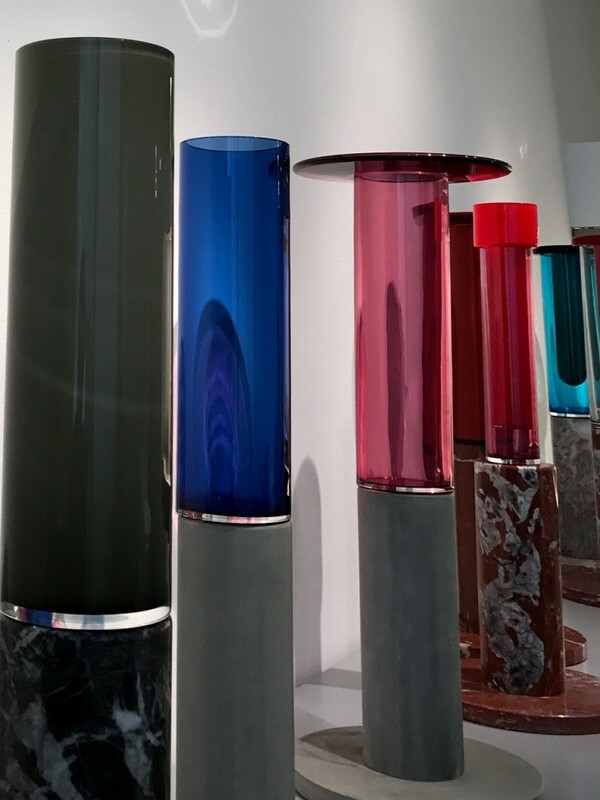 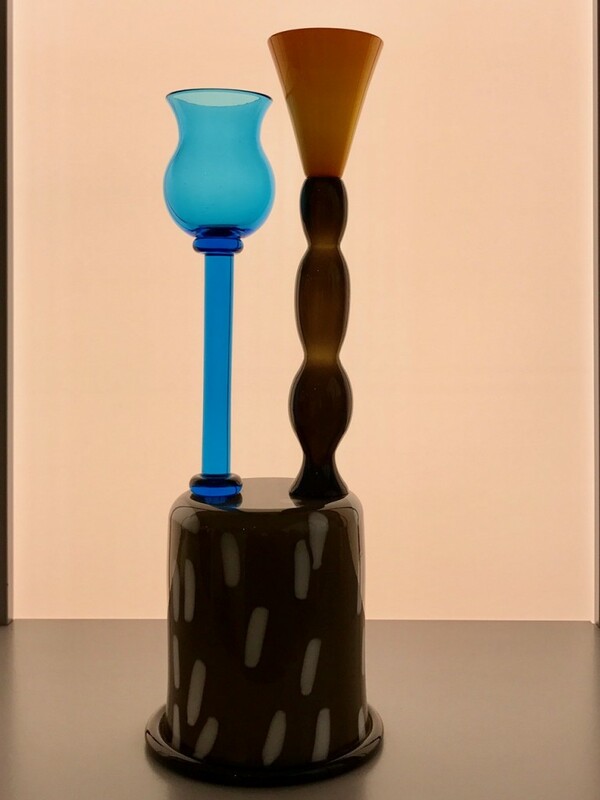 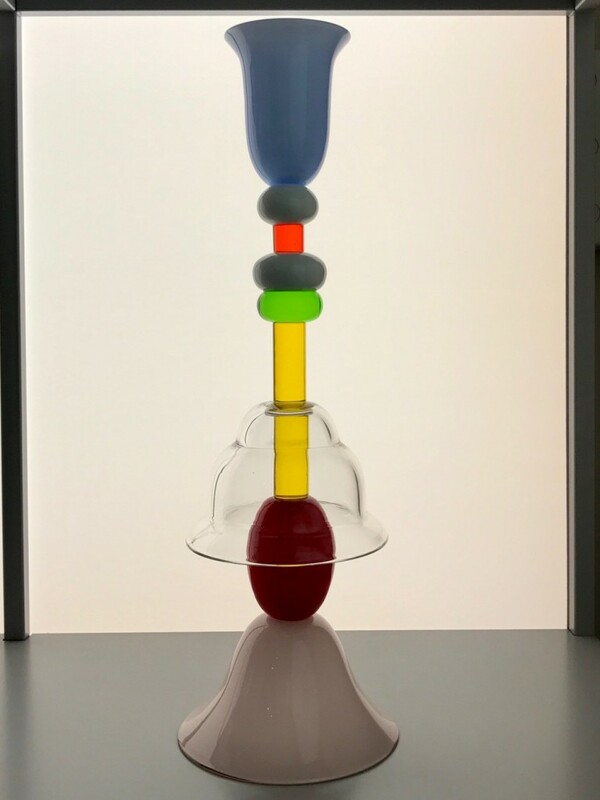 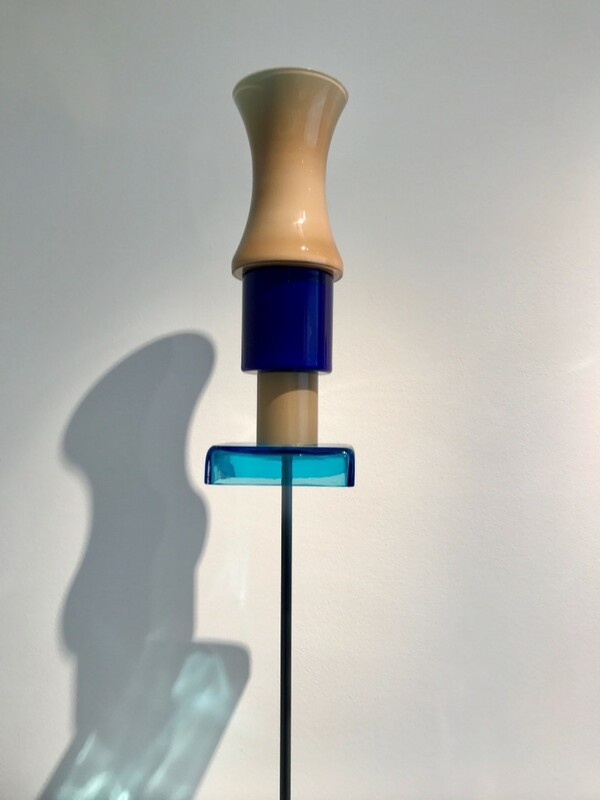 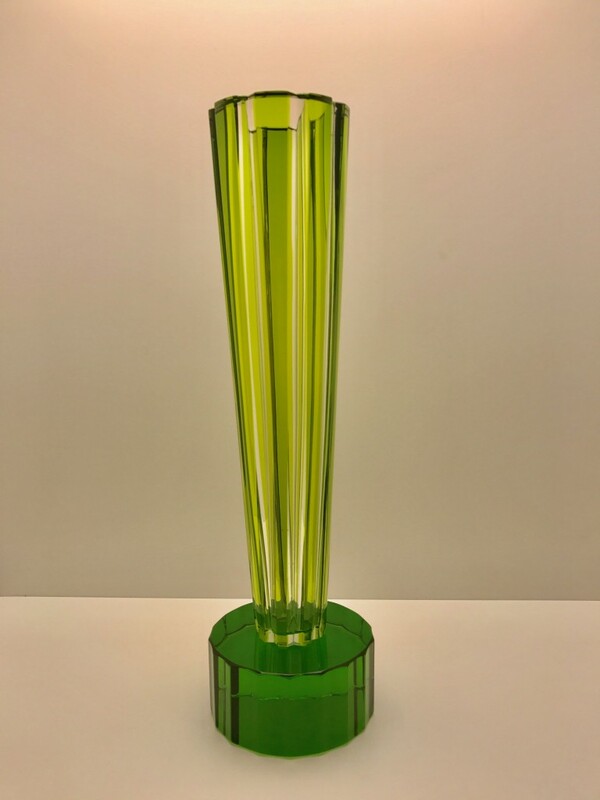 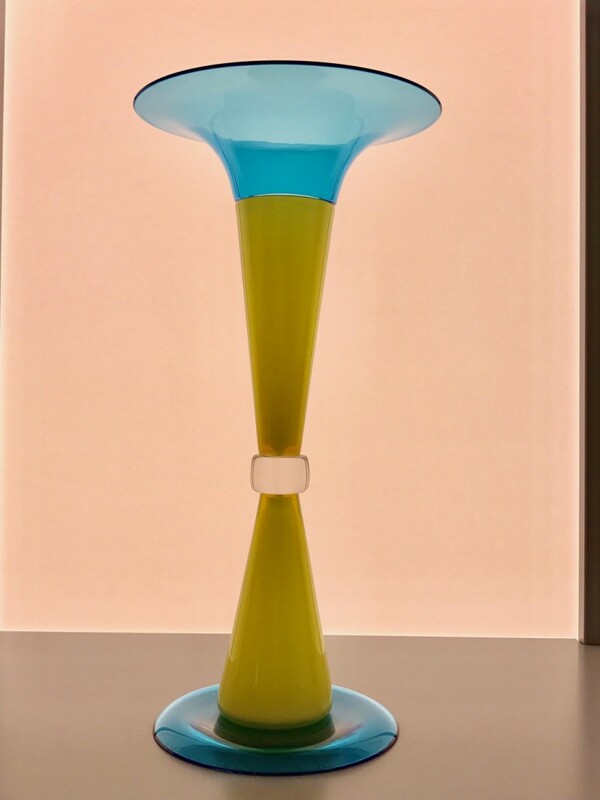 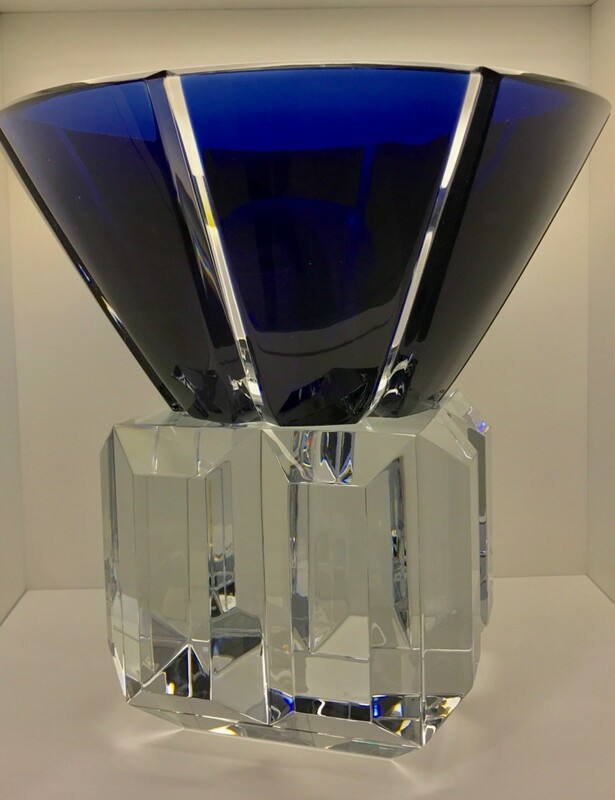 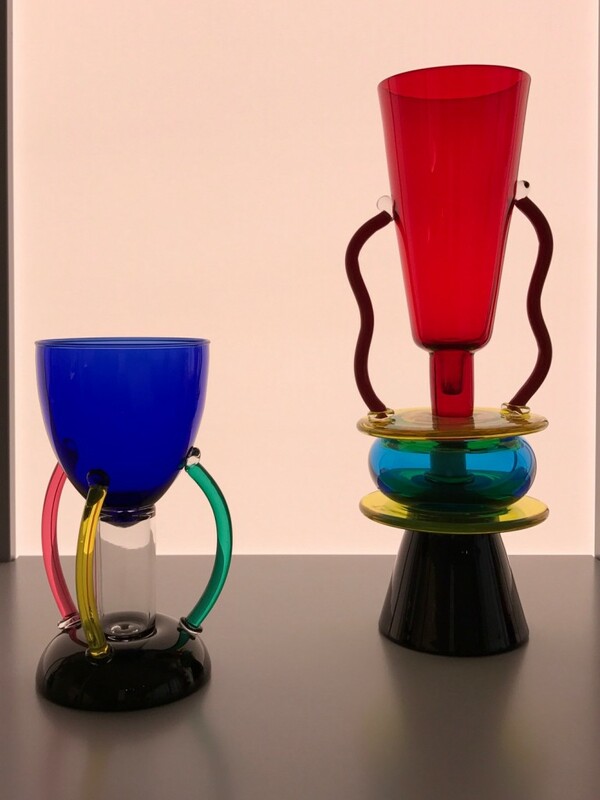 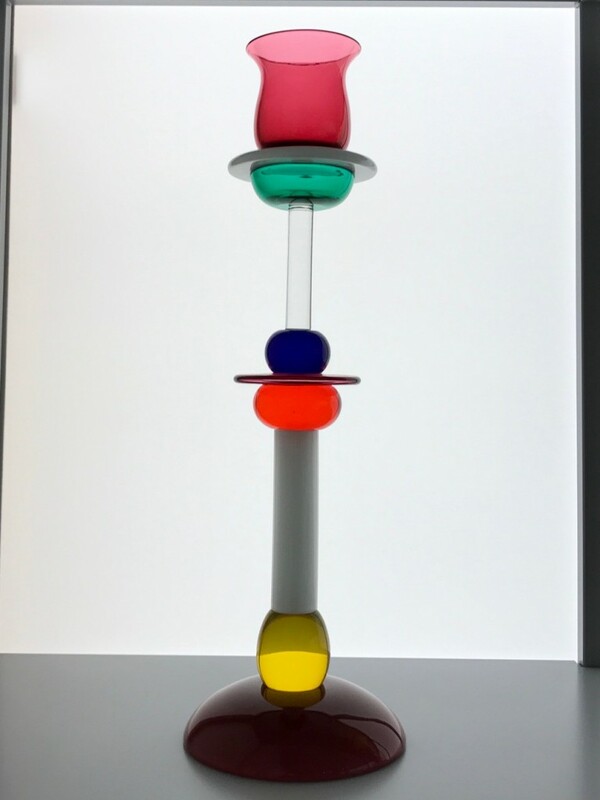 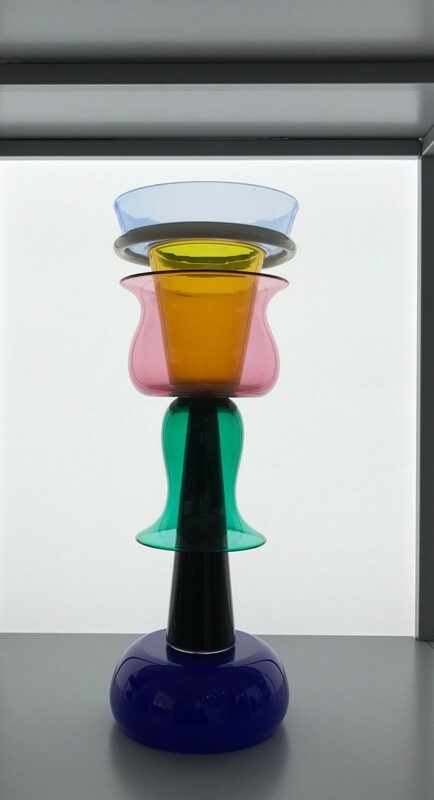 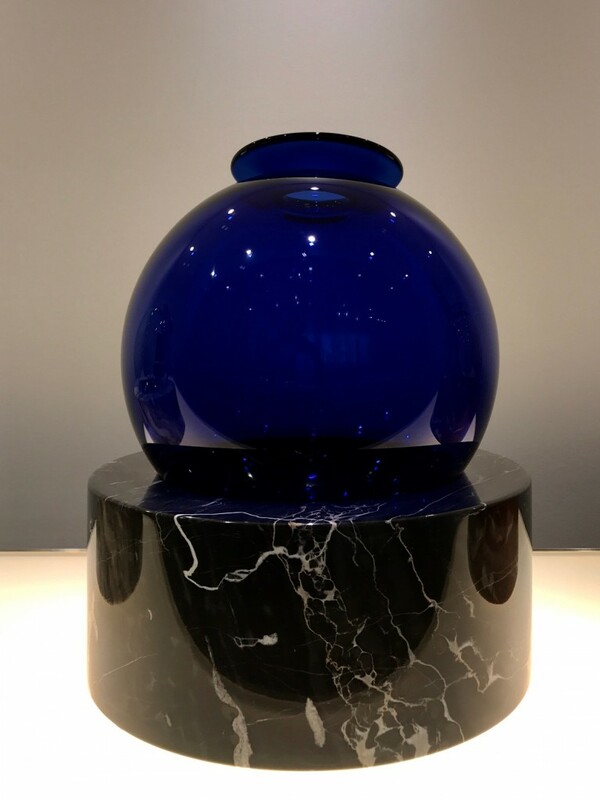 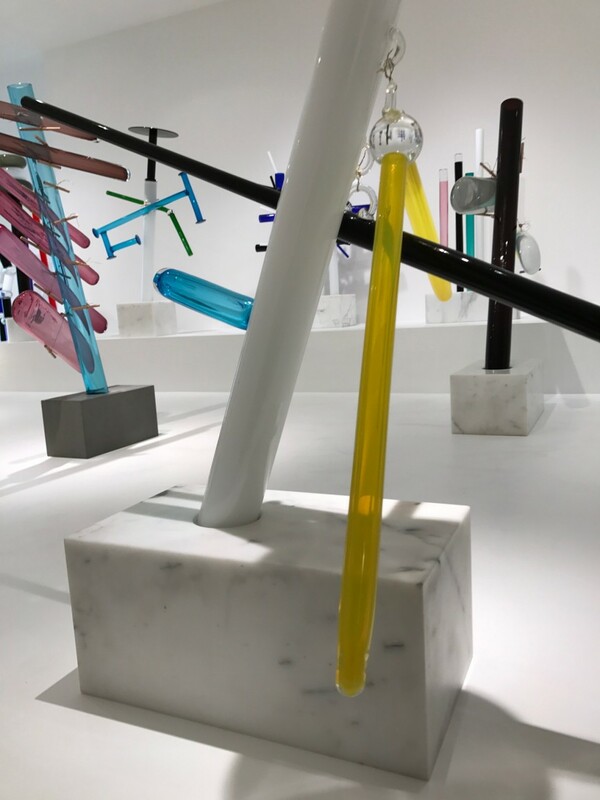 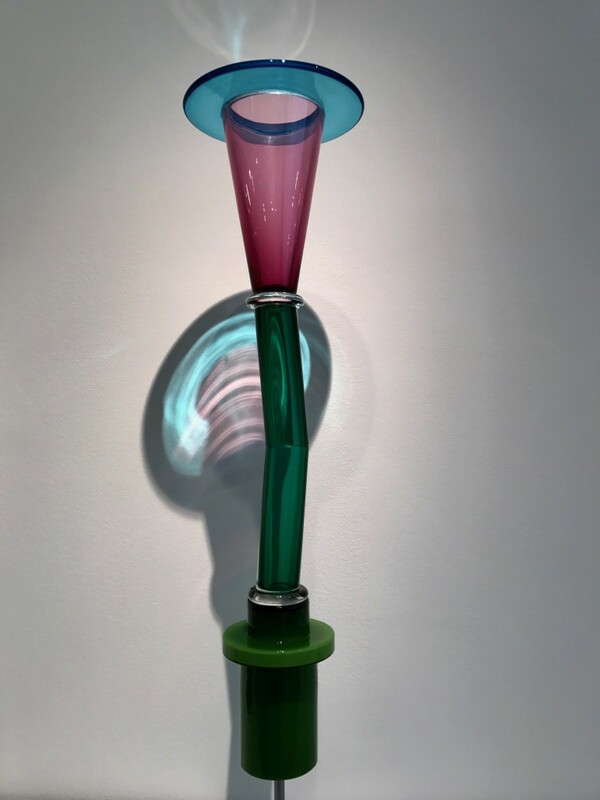 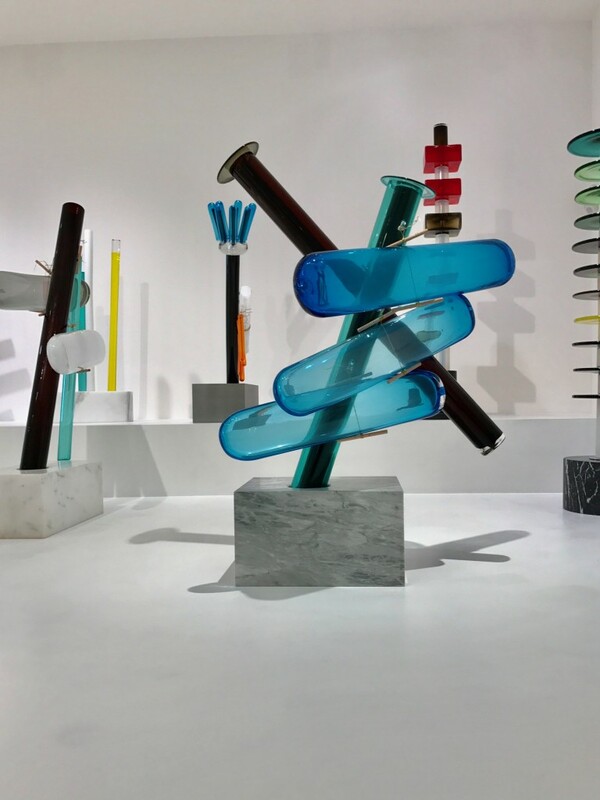 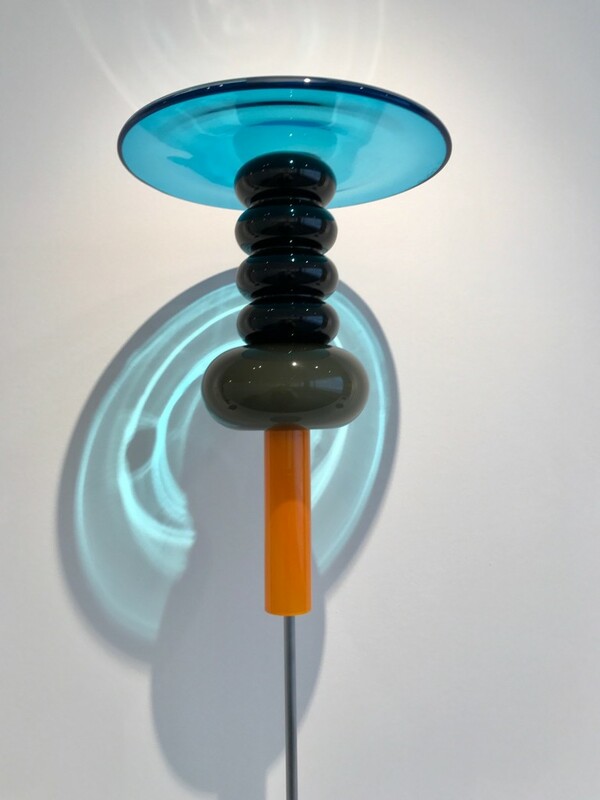 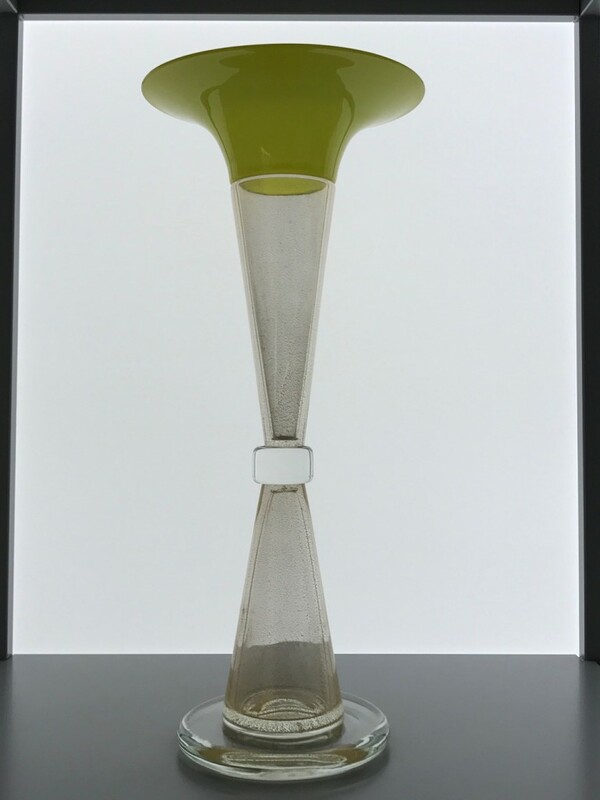 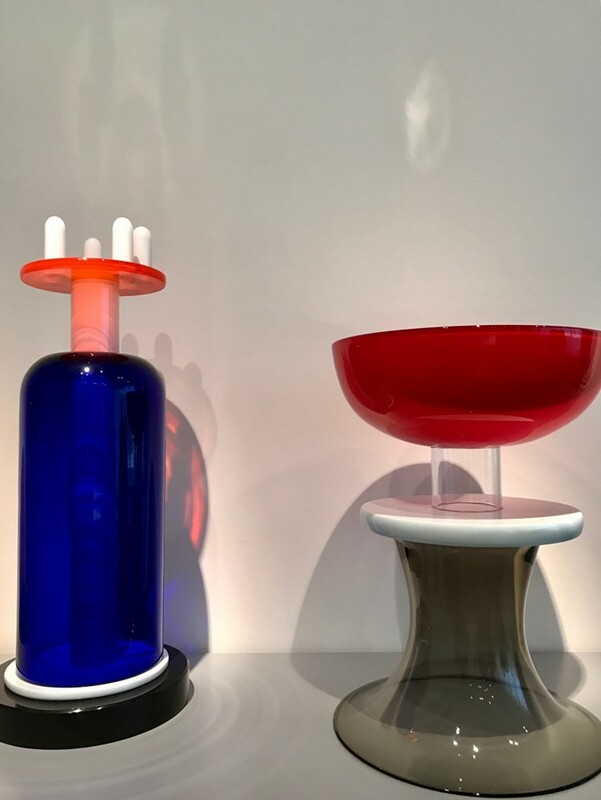 His considerable contributions to the art of glass are surveyed in the current exhibition at Venice’s famed Stanza del Vetro on the island of San Giorgio Maggiore next to Palladio‘s most visible Venetian landmark at the center of the lagoon. 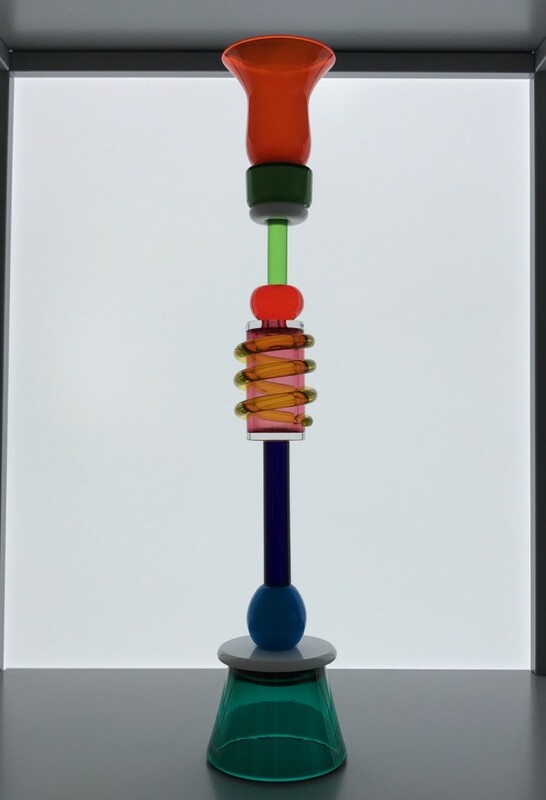 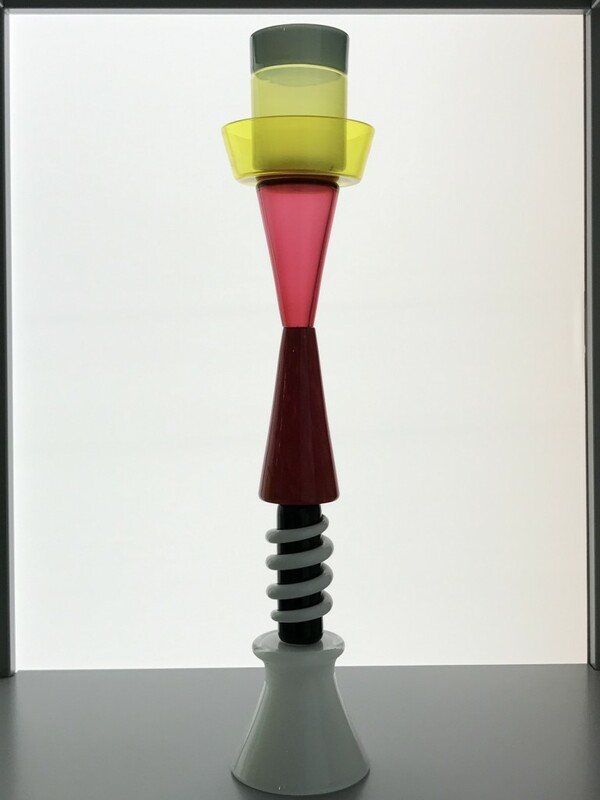 “Architectural” is for me the most important descriptor of Ettore Sottsass ‘s colorful creations. 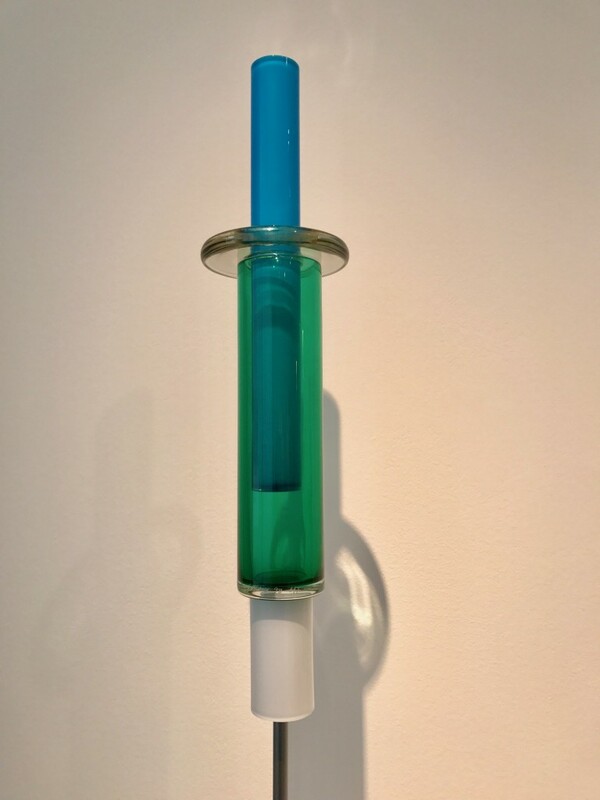 Controversial is the descriptor of many connoisseurs who question his rule-breaking glue joints and mechanical suspensions. 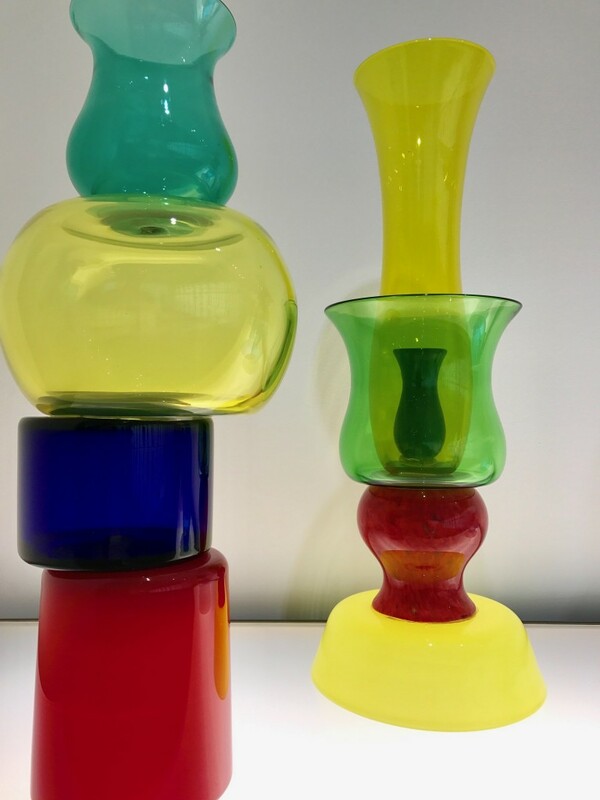 Rule-breaking was the point of everything he and the Memphis movement expressed.